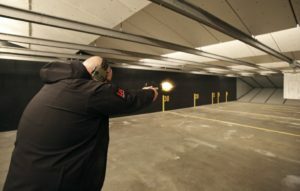 We conduct our 20 Hour OPOTA Firearms Training and the Annual OPOTA Firearms Re-qualification class at the Public Safety Training Center, Cuyahoga Community College (Western Campus) in Parma, Ohio. This facility has modern classrooms and new furniture and equipment conducive to high quality training. 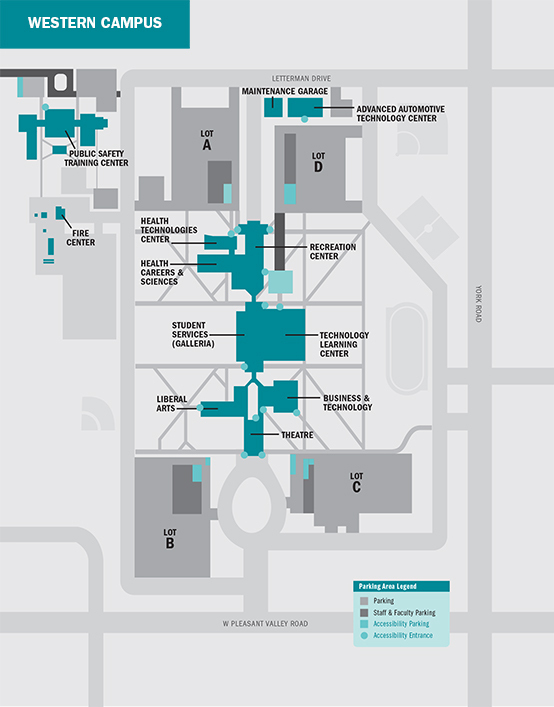 There is a large, secure parking area patrolled by campus police directly adjacent to the center. Click on the picture below to enlarge the layout of the training facility. 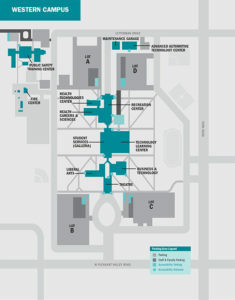 The range and classrooms are located in the top left area (northwest corner) of the picture. The range, located in the same building, is a state-of-the-art new range with climate control and a powerful exhaust and ventilation system. Click to enlarge the picture. 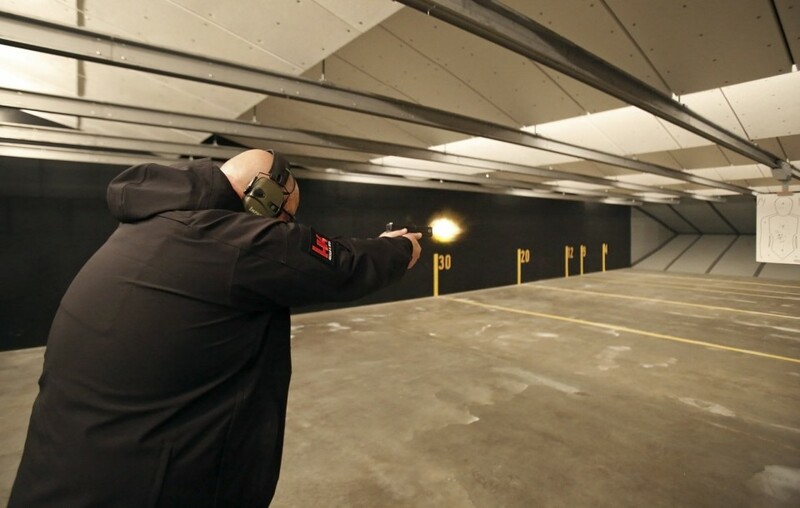 For our Concealed Handgun License Certification Training class, we use our classroom located at 2423 Payne Avenue, Cleveland, Ohio 44114, centrally located in downtown Cleveland, Ohio. There is ample secure parking immediately adjacent to the front door of the building. Once completed with the classroom portion of the training, all students are given a one hour lunch – there are numerous restaurants in the area. After lunch, the class meets at Grays Armory located about five minutes from the classroom at 1234 Bolivar Road, Cleveland, Ohio. The two hour live fire training takes place at the private range used only by our class.